Bvlgari Rose Essentielle is a rich fragrance, fresh & modern, expressing the joy of life. 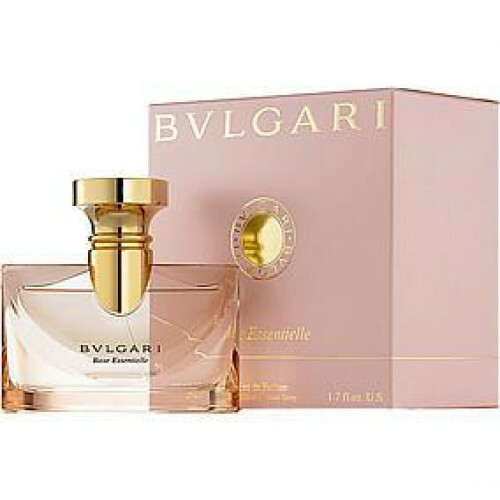 Bvlgari Rose Essentielle 100ml. Eau De Parfum is a rich fragrance, fresh and modern, expressing the joy of life. Seductive tones will appeal especially to the woman who is not afraid to show sensuality and elegance. The fragrance is like a symphony, sophisticated and delicious ingredients. Aromas this fragrance opens Turkish rose tones, very refined, with a touch of rose noble. This combination creates an extremely sensual agreement. Middle notes, gather sambac flowers, jasmine and berries. The base is a sensual aroma, warm sandalwood and patchouli. A seductive fragrance that can dress a woman throughout the day. Bvlgari Rose Essentielle, surrounds you and leave behind you a sensual aroma. Rose Essentielle is a fragrance in Blvgari pour Femme series with its exquisite fragrance compositions have won many women's hearts. Rose Essentielle is a tribute to roses, and includes fragrances from the most exquisite roses kina - Rose Otto Mane and Rose Prelude. Just like the original fragrance, this is a floral and feminine scent, except roses contain the blackberry and patchouli. Perfume Bvlgari Rose Essentielle is a unique example of how perfumers choose their own way to interpret the classic motifs of women's perfumes. This exhibit from the world-famous brand Bvlgari - an attempt through the perfume to show the beauty of fragrant luxury bouquet of roses. The perfume combines notes of a variety of magic, which make it a charming and gentle. Against the background of sensual notes of rose, we can hear the echoes of the magnificent colors of jasmine, violet and blackberry. Final notes fragrant composition can be considered a symbol of eastern seductiveness, because they combine shades of sandalwood and patchouli. An amazing version of the fragrance for women who love classic fragrances, but are willing to experiment. Just creators bit differently put the main emphasis fragrance.